GMs of teams that have emerged as buyers leading up to the NHL trade deadline might have to dangle valuable commodities to land the perceived difference-making players they desire in their quest for the hardest to win trophy in sports: the Stanley Cup. The trend in recent seasons is leans towards dealing draft picks rather prospects as teams make deadline deals. One reason for this is drafted prospects already have an established relationship with the team who drafted them, making it easier to deal a commodity yet to have a name and personality attached to it. With any given prospect they would have by now had a hand in their development. If teams do decide to port prospects to different postal/zip codes, here’s a glance at ten prospects (in no particular order) that may find themselves changing allegiances on or before February 29th. To qualify as a prospect on this list, a player is simply under 25 years old and not yet a NHL regular. NOTE: You can follow all the action with THW’s Trade Deadline Rumour and Deal Trackers here. Call me Captain Obvious. 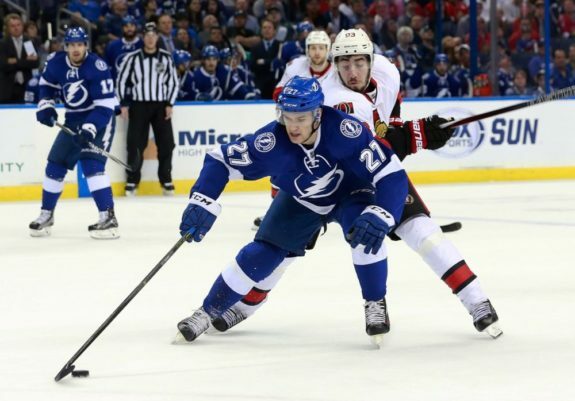 Drouin’s path to NHL success has not went they the way he would have wished, but there’s no denying he is uber-talented. I called him the Human Hockey Highlight Film in his draft year. 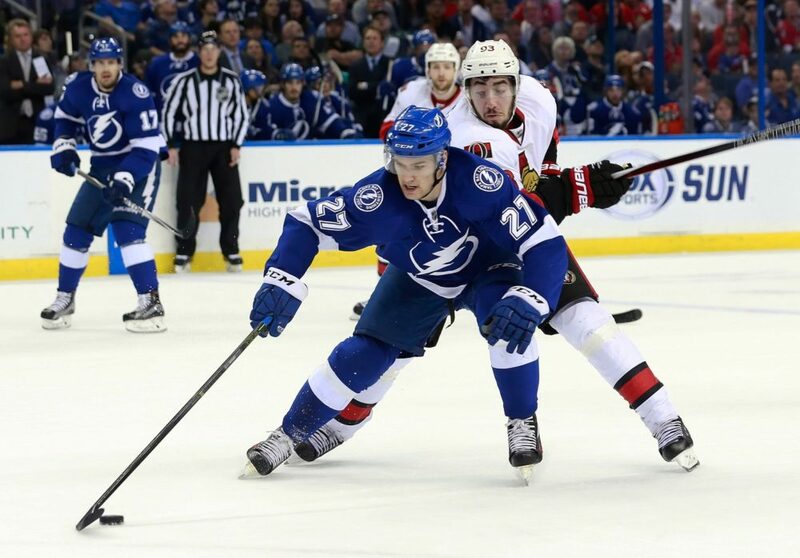 Often asked where Drouin may go. No strong sense at this time. I'd say 15 to 20 teams have shown varying degrees interest at varying times. The 2014 2nd rounder is having a nice statistical year in the Dub for the Portland Winterhawks. He has undeniable talent, but Predators brass might be realizing his production is highly linked to the outstanding play of Oilers’ prospect Caleb Jones, brother of Seth. It’s difficult to fathom the Ducks do not make at least one more move and puck-moving defenseman Montour will be a good bargaining chip. The 2014 2nd rounder has made an impressive transition from the USHL to the NCAA ranks to the AHL, averaging almost a point-per-game wherever he goes. The 6’0 defenseman is an intelligent puck mover currently sitting 6th in OHL scoring amongst blueliners. The Blues will find it tough to part with the sublime skating prospect. You have to think the Rangers will make a trade deadline splash and dangling this Russian offensive dynamo would stimulate NHL GMs’ interest, unless they can bring him across the pond for the playoff run. The 6’2 energetic forward possesses good speed and offensive upside. He’ll likely be in Finland for at least one more season so the team trading for him will have to show patience. The 2015 5th rounder has made a smooth transition to North America, becoming one of the Baby Pens best players. Interestingly, Simon was a 4th overall selection by Lokomotiv Yaroslavl in the 2015 KHL Draft. The 4th round pick from 2015 and brother of Flames’ Tyler is in the Top 10 in WHL scoring by defensemen. The Islanders have plenty of prospect depth and can afford to deal the emerging blueliner. Who? While not a household name, Gravel has emerged as a rock solid, poised blueliner in the Kings organization. Other team’s pro scouts have likely noticed as well. The athletic netminder is uber-talented with superb reflexes. A rebuilding franchise can afford to have patience with his development. How many, if any, of the above prospects will get dealt on or leading up to the trade deadline? Or will we simply continue to see a multitude of draft picks moved?